On the northern shores of the Choctawhatchee Bay, tucked away by the Boggy Bayou, sits one of the most friendly and welcoming communities in northwestern Florida: Niceville. Along with the neighboring community of Valparaiso, Niceville is a part of the metropolitan region known as the Twin Cities of Okaloosa County. While many communities around the Choctawhatchee Bay are typically resort areas with high tourism rates, Niceville offers a charming small town atmosphere. The city is only about a 15- minute drive to all of the fabulous amenities, including the white sandy beaches and vibrant resort life offered in Destin and throughout South Walton; however, Niceville residents have the opportunity to leave all of that activity behind at the end of the day to return to their idyllic community on the Bayou. 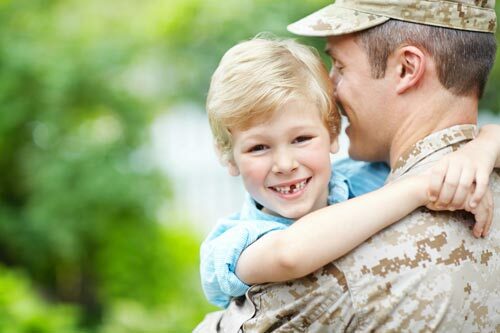 Centrally located between Eglin AFB and Duke Field and just a 20 minute drive to Hurlburt Field, Niceville, is where a lot of military families chose to call home. It’s location to the bases and the beaches are not the only reason people choose to live here. Top-rated schools, low cost of living index, family oriented events and activities are contributing factors. Niceville was named “Best Place to Raise Kids in Florida” by Bloomberg Business in 2012. In 2014, Movado ranked it as one of the 10 safest places in Florida. Though Niceville might be considered a small town, it has a lot to offer. Being attached to a 30 mile long Bay and having an exorbitant amount of bayous, water activities are endless. It is not uncommon to see the water full of boaters, kayakers and paddle boarders. The land lovers can spend the day exploring one of the many nature trails in the area or the children might enjoy the one acre children’s park that is centered in the city. There are three golf courses in the greater Niceville area with many more within a few minutes’ drive. Niceville also has several soccer and baseball fields, a skate park, and for a little more refined entertainment, the Mattie Kelly Fine Arts Performing Center, where you can watch concerts, Broadway plays, and more. The city welcomes those from all over the region and beyond every year with its Boggy Bayou Mullet Festival. This annual seafood and arts festival is held for three days in late October and host residents and visitors with delicious local fare, music, carnival rides and a wide variety of arts and crafts. Famous headliners of the festival have included Florida Georgia Line, Kenny Rogers, and The Charlie Daniels Band. Niceville also has easy access to interstate 10 and is adjacent to the Destin-Fort Walton Beach airport which offers 50 non-stop flights to primary hub cities across the nation making travelling in and out of Northwest Florida easy.